When you are managing a WooCommerce store, you might be constantly in the lookout for ways to improve it. The growth of an eCommerce store can be considered in different levels. You can acquire more customers and grow your customer base. You can focus on improving the quality of your customer service, and it will contribute to getting repeat customers on your store. Improving the user experience on your site and optimizing the fulfillment process can also provide great support to your efforts to grow your WooCommerce store. 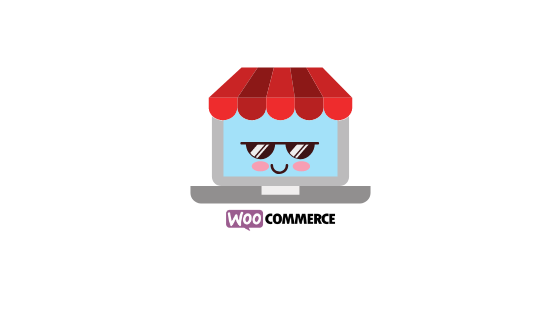 In this store, we will discuss a few ways to grow your WooCommerce store, and how ELEX plugins can help you achieve that. Your pricing strategies play a huge role in establishing yourselves in a new market. Offering discounts and personalized pricing for specific customers can help you a lot to grow your WooCommerce store. Similarly selling on multiple channels can improve your products’ reach and help to increase conversion rate on your store. For example, with the ELEX Google Product Feed plugin, you can create a product feed for Google Merchant Center, and display your products on search result pages through Google Shopping ads. Let’s take a more detailed look on the features of these plugins. With the help of this plugin, you can create dynamic price adjustments at product, category and cart levels. According to your requirement, you can create percentage discounts or flat rate price adjustments. It also helps you set up fixed price for specific products. You can create all these price adjustments while keeping a maximum discount margin to make sure your profit is not impacted. Let’s take a quick look at some of the features of the Dynamic Pricing plugin. Offer discounts at individual product level, by creating rules based on quantity, price or weight of the product. The same can be managed for product categories as well as for cart. 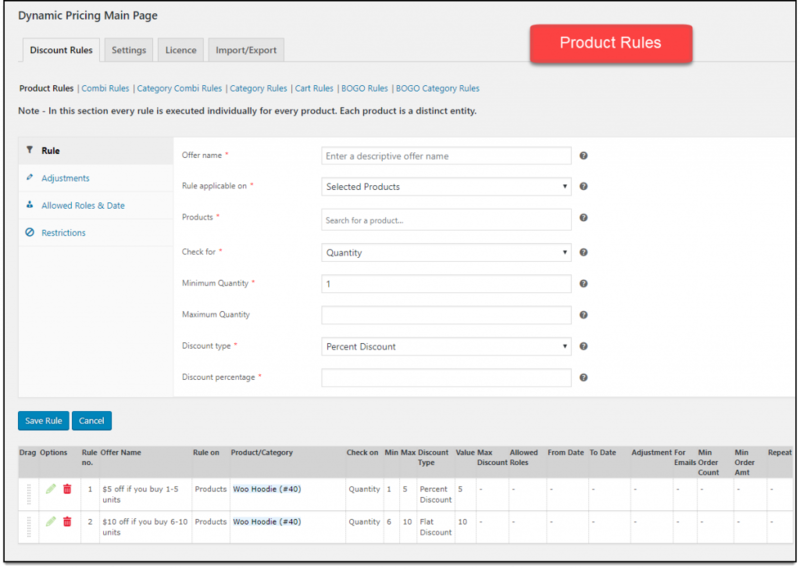 Create discount rules based on product combinations. For example, you can create an offer “Buy product A and B together to get 15% discount”. Personalize discounts offered on your store based on user roles, email id, number or amount of previous orders, etc. Display offers table and pricing table on the product page to give a clear idea to customers about the available offers. Configure Buy One Get One Free (BOGO) offers where the free products will be automatically added to the customer’s cart. Based on product attribute and attribute values, you can set up discounts. Similarly, you can offer discounts based on the choice of payment option or shipping method by the customer. Control on which rule to apply in case of multiple ones satisfying a cart scenario. Sometimes multiple rules will be valid for a cart. In such a scenario, you can choose whether to apply all rules, the best one, or the first matching one. The plugin also offers an Import/Export feature. If you are running a wholesale store, this plugin can be extremely useful for setting up individual pricing plans for your customers or a group of customers. 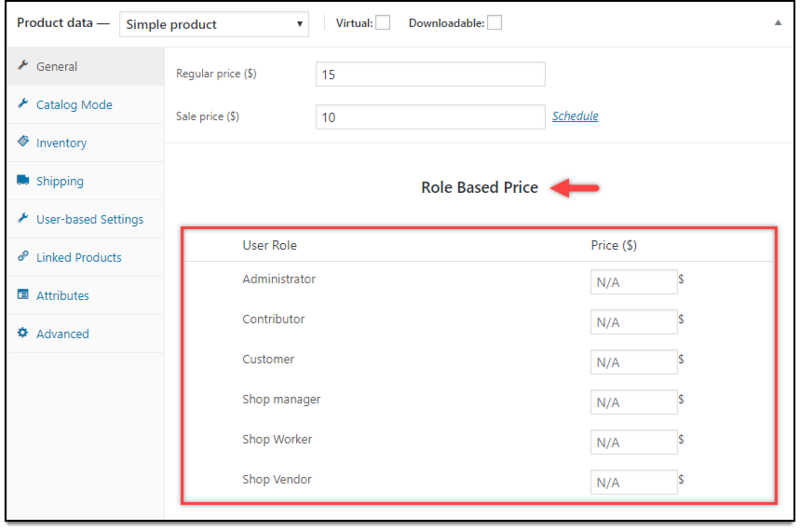 You can create additional user roles with the plugin and based on that you can update the prices of your products. The plugin also helps to convert your store into catalog mode with a single click. Remove or customize Add to Cart button where you can add a custom text or redirect it to another page. Use existing WordPress user roles or create new user roles to offer unique pricing or price adjustments to specific customers. Set individual prices or discounts for products and variations with additional settings in the product data metabox. Option to create a price suffix for your products. You will be able to create a generic price suffix globally for all your products. You can also create the suffix specific for particular user roles. Handle unregistered users also just like you would handle a particular user role. Create new user roles easily. Featuring your products on Google shopping ads can considerably increase the visibility and reach of your products. Moreover, since users coming to your site through Google Shopping ads are highly targeted, there are much better chances for conversion as well. This plugin helps you create an XML file that has information on all your products as mandated by Google. You can directly upload this file to your Google Merchant Center account and update it in a timely manner whenever your product data is changed. Later, you can connect your Google Merchant Center account and Google AdWords account to create targeted Google Shopping listings. Create a product feed as an XML file of your products containing products from your WooCommerce store with attributes specified for Google Merchant Center. Update the product feed in a timely manner using cron jobs by specifying daily, weekly or monthly update schedules. Include individual variations in the product feed. Map multiple Google product categories with your WooCommerce product categories. Add additional Google product fields. Exclude specific products from the product feed. Options to view, copy, edit, download or delete the product feed. One of the important aspects related to the growth of your WooCommerce store is your customer support. You need to provide prompt support to your customers to be able to retain them. We have a couple of products that will help you in managing your customer support system. Simple and powerful user interface with an AJAX-based design for fast response times. No restriction on the number of agent profiles or tickets you can create using WSDesk. Your support team can create custom views of ticket data according to their preferences. Triggers and automation to help you optimize the workflow of your customer support department. You can automatically send customers to the right department based on the nature of their queries. Canned responses or pre-written texts to respond faster to common, repeated queries. Good reporting features to understand customer satisfaction specific to agents or particular time periods. Providing faster customer support is one of the goals of many eCommerce store owners. Nothing helps better for this cause than featuring a live chat window on your website. With the help of WSDesk, you can easily configure a live chat window on your store. In addition to solving your customers’ issues real time, you can use WSChat to understand active visitors on your site. This way, you can proactively engage them and consequently, improve conversions and sales. The following are the important features of WSChat. Instantly connect to your audience who are contacting your through the live chat window. Customize the appearance of the chat window by updating the look and feel of the widget. Get information of active visitors such as IP address, current page views and the time spent on your site. Initiate a chat with relevant users to improve the chances of conversion. Simple and intuitive user interface, which is fast and responsive. Seamless integration with WSDesk plugin. Fulfillment process of your store is another distinguishing factor that creates a perception around your customer experience. That is why integrating the services of a popular shipping carrier would make a big difference to your store strategies. You can find a variety of ELEX plugins that will help you integrate multiple shipping carriers and services. Here is a quick look. Display domestic and international USPS services and their live rates. Print USPS shipping labels if you are an e-VS customer. Multiple parcel packing options to choose according to the store requirements. 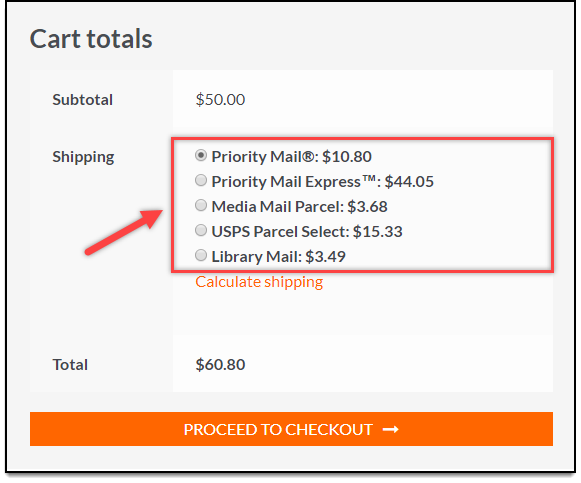 Option to choose USPS flat rate boxes. Create eVS scan form for transport of dangerous goods through USPS. 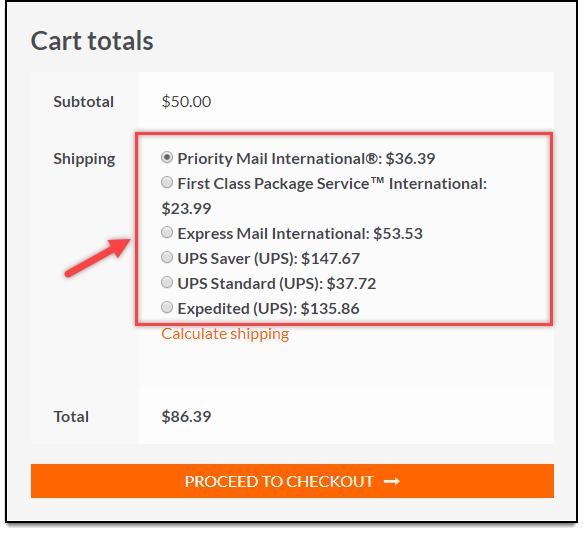 If you are not an eVS customer of USPS, this is the plugin that you can use to automate USPS shipping on your WooCommerce store. This one too offers complete integration of your USPS account with your WooCommerce store. Make price adjustments to services. Print shipping labels and provide tracking code to customers. 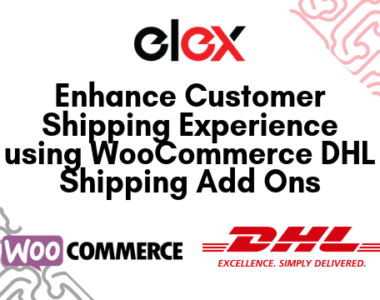 This plugin helps you integrate services of DHL Express, DHL Paket and DHL eCommerce on your WooCommerce store. It will work in all countries where DHL is supported. 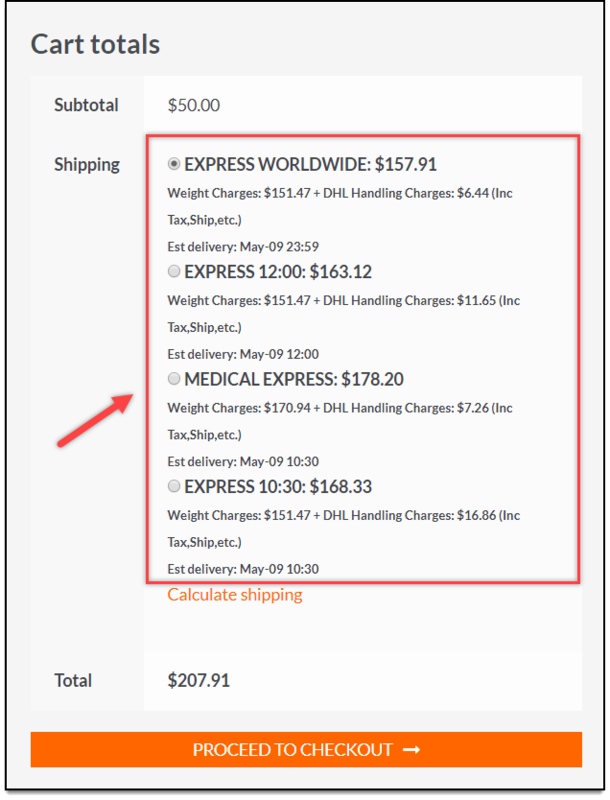 Print shipping labels on your WooCommerce store after paying postage through your DHL account. Print return labels as well to make your return process more efficient. Option to print archive air waybill and commercial invoice. Display a range of services of FedEx, UPS and USPS and their rates. Display estimated delivery time for each service displayed. Print return labels for FedEx, UPS and USPS. 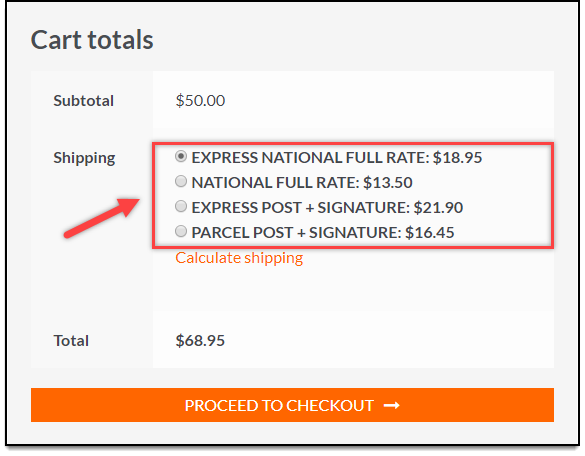 Display shipping rates of a range of international and domestic Australia Post services. Print eParcel and StarTrack shipping labels if you have a contract account with Australia Post. Checkout the respective plugin documentation page to understand more about the functionalities.